The company covers more than 92 hectares of olive trees in the territories of the Plain of Lamezia Terme included in a Protected Designation of Origin "Lametia." This area is particularly suited to the cultivation of the olive, to soil and climatic conditions, and in particular for the cultivar "Carolea", typical of our area. The harvest begins in October with mechanical means or for nibbling, and after harvesting the olives are pressed immediately in the modern mill, in order to keep intact the peculiar qualities of the original fruit. 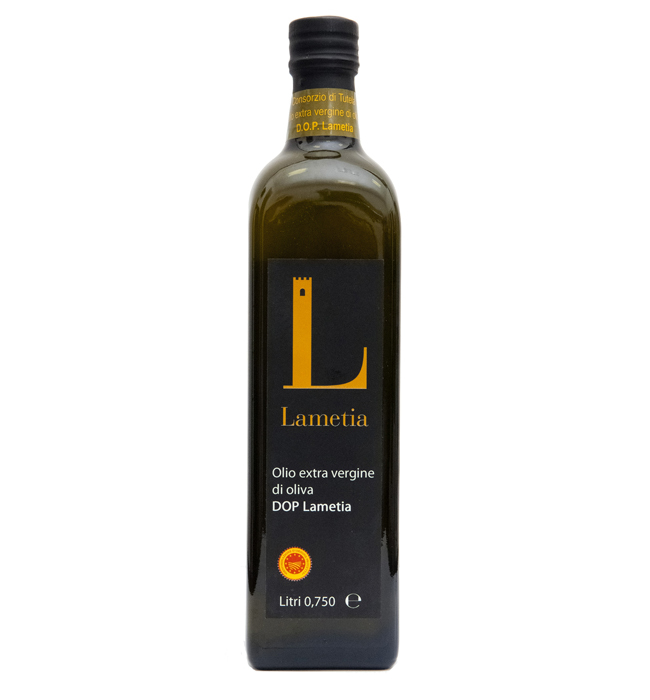 The extra virgin olive oil obtained is an oil with low acidity strictly "cold extraction", which appears on the nose with herbal notes while the taste bitter and spicy are very balanced. We propose two labels: the PDO Lametia and 100% Italian extra virgin. The entire chain is carried out within the company, where they are followed every step from cultivation, harvest, mill to packaging. The oil thus obtained was analyzed immediately (acidity, peroxides and polyphenols) and subjected to "panel test" by a trained professional taster, in order to verify the quality and organoleptic characteristics. The oil will then be packaged with our brand "Treasures of the Sun" in 5 liter cans and bottles 0.750 - 0.500-0.250 liters. On request it is also packaged in single-serving bottles of 20 ml. Suitable for raw condiment of all Mediterranean cuisine.